We have kicked off 2019 with new additions to the Costa Brava Girona Convention Bureau business tourism range, with an important increase in companies from the Garrotxa region reinforcing the #inPyrenees MICE proposal. Nestling in the Alt Empordà region, this fortified 16th-century farmhouse, now converted into a boutique hotel, offers exclusive stays surrounded by nature. It has fully-equipped meeting rooms catering for up to 120 people and serves fine cuisine based on locally-sourced products. This converted farmhouse near the Garrotxa volcanic area offers accommodation and five meeting rooms with the latest hi-tech audiovisual equipment and all the facilities required to hold meetings in absolute comfort. 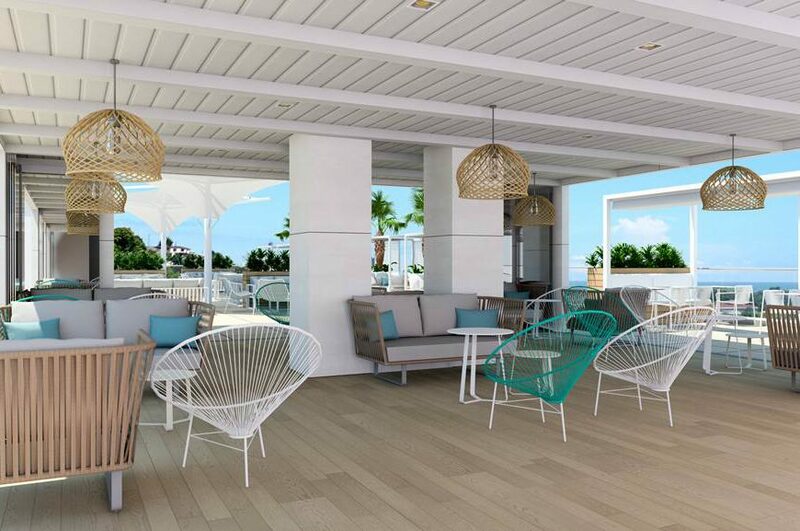 Hotel L’Azure has just completed refurbishment this year and has 411 rooms, 2 restaurants and a wide variety of leisure and wellbeing facilities, featuring a stunning rooftop terrace with an infinity pool. The hotel has a multi-purpose venue room measuring 600 m2 and provides an expert professional event planning assessment service. This hotel in the city of Olot offers all the facilities required for holding corporate meetings in a peaceful, natural setting, with 28 rooms and a meeting room for up to 40 people. The new premises opened in 2018 to offer an exclusive experience and fine cuisine in the unique architectural setting of this former military fortress. The meeting rooms are complemented by the Dor Museum’s cultural facilities, the Sants Metges Hotel and first-rate gourmet cuisine with chef Jordi Cruz at the helm. These teamwork activity organisers propose outdoor training experiences in the incomparable setting of the Garrotxa region to promote leadership, communication and teamwork skills with enjoyable activities following a successful methodological sequence. Healthy cooking expert Mathias Hespe will guide company groups through a series of fun cooking activities and help them to learn all about the cooking techniques and ingredients involved in healthy cookery. Restaurant La Deu in Olot is still run by the same family that opened it 130 years ago now and combines the experience and facilities to make it the ideal place for holding corporate banquets and large events in a unique, stunningly beautiful setting. It serves Mediterranean and regional Volcanic Cuisine based on locally-sourced ingredients, along with dishes inspired by creative cuisine. This hundred-year-old restaurant serves traditional, seasonal, Volcanic Cuisine in Olot, in the heart of the Garrotxa Volcanic Area Natural Park. It has venue rooms and areas with modern decor in relaxing, neutral shades suitable for all sorts of gatherings and events.